I was first approached by hardware and peripheral developer HyperX at PAX West, to demo their new lineup. I was hesitant because it was an unexplored area for oprainfall. As I’m sure anyone reading this knows, oprainfall focuses on gaming and anime for reviews and news. However, I thought it would be an interesting experiment to see if there’s any interest among our readers in this kind of content. So, after getting the go-ahead, I decided to take them up on their offer and review their new Cloud Stinger, the newest in the Cloud line of gaming headsets. The Cloud Stinger is meant to be an entry-level gaming headset, with a price point lower than the others in the Cloud line. 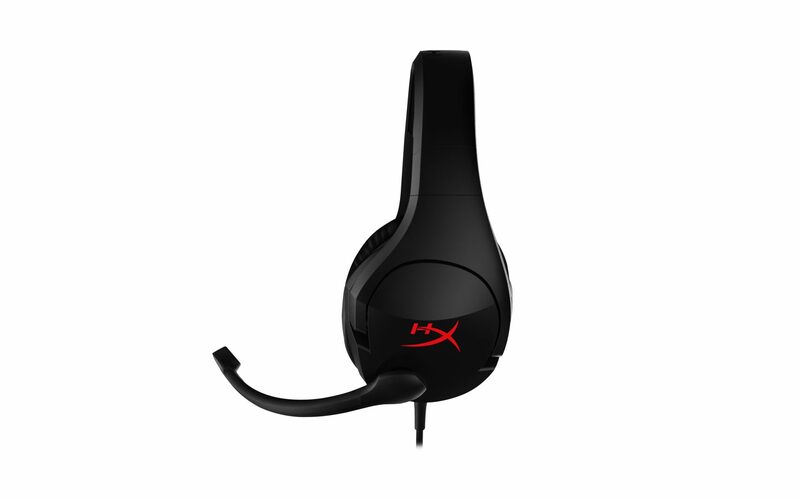 Its design is simpler than these other headsets as well, with the outer shell and casing mostly composed of plastic. A volume control can be found on the right ear cup, and the microphone automatically mutes itself when moved into the upright position. The ear cups sit comfortably over and around the ear, although they do get pretty hot after using them for extended periods of time. 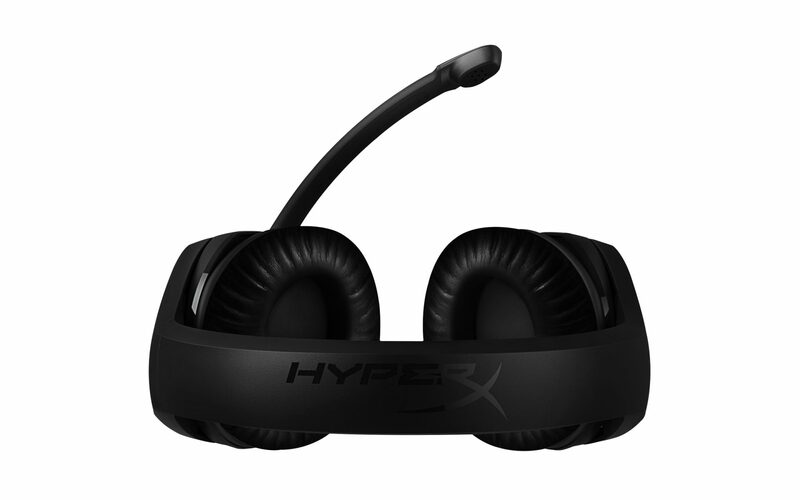 The Cloud Stinger is meant to be usable for either PC or console gaming, so the headset has a single input/output analog jack for consoles as well as an extension with a splitter for PC. The base cable is about four feet long, with the extension more than doubling the total length. It is a bit long for use on PC, so you’ll likely want to find a way to keep it from getting in your way while using the headset. The cord is relatively thick and feels high-quality. It plugs directly into the DualShock 4 and some versions of the Xbox One controller, while other models of the Xbox One controller require an extra connection peripheral. Theoretically, it should work with anything, since the connector is a standard one. The headset is remarkably comfortable to wear, although as I mentioned earlier it does get somewhat sweaty to wear it for longer gaming sessions due to the lack of airflow in the ear cups. The design also cuts off most ambient sound more than on-ear headphones, making it easier to focus and ignore distractions. Having the volume control on the headset is a nice touch, although I didn’t find a whole lot of use for it using the headset on PC. The headset is very clearly intended for gaming use and not particularly well-suited for other purposes. Something I picked up on while using the Cloud Stinger for music is that the volume levels are not even. The headset has boosted bass, while the mid-range pitches are lower and high pitches are kept level. It works for gaming, but music tends to sound somewhat off unless you deliberately go into volume settings on the PC and change the equalization yourself. Ultimately it’s all my preference, but I like music and in-game sounds to have more balance to them; I’m not a huge fan of sound being particularly bass-heavy. This is also just on the default settings, and the balance is something that can be edited to your preference. I can also notice a slight lack of depth to the higher-end sounds, but I’m not sure if that’s an EQ problem or an issue with the speakers themselves. It doesn’t seem like most of the sounds have a lot of body to them, except for the boosted low end. The microphone is nothing special. Headset mics are always pretty hit-or-miss, usually not suited to anything other than voice chat, and the microphone on the Cloud Stinger is no exception. It seems quiet, based on my testing, but that’s generally a non-issue in voice chat in games. It’s not suitable for recording voice-overs or streaming, all part of the reason why you should never use a headset microphone for livestreaming or doing gameplay videos. I can’t exactly speak for the relative quality of many other gaming headsets. The only other one I’ve used extensively is my usual one which costs about double the price of the Cloud Stinger when I got it two years ago. 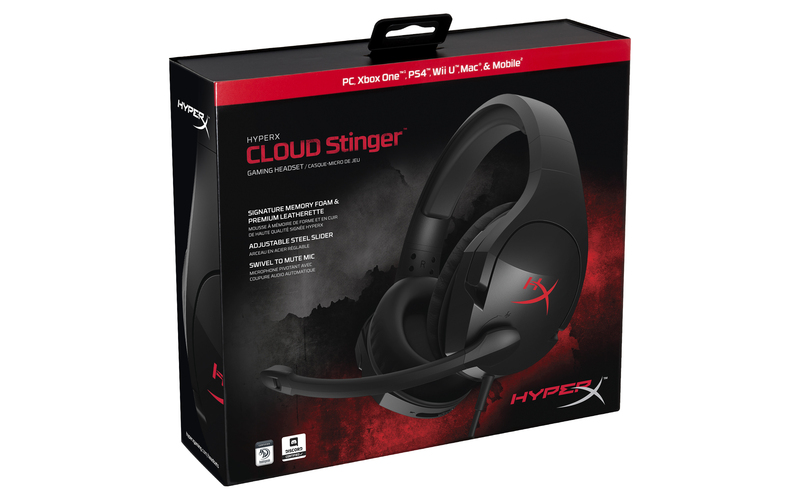 I don’t know where the Stinger falls compared to other headsets at or below the same price, or relative to the rest of HyperX’s Cloud and Cloud Revolver lines. 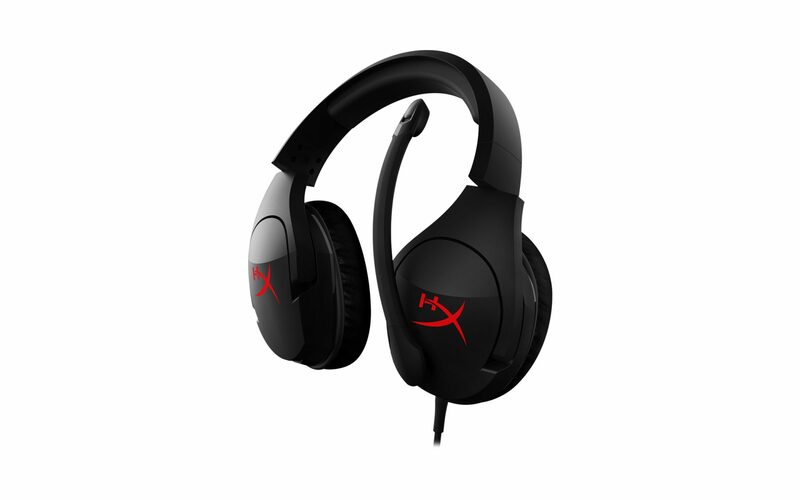 Ultimately the HyperX Cloud Stinger is not an outstanding headset, but at $49.99 USD the saying “you get what you pay for” holds true here. It’s definitely not bad and is more than adequate for gaming. However, if you plan to listen to music or do more with it, you would probably do well to invest in something higher quality. It all depends on how easily you can discern audio quality and what you intend to use the headset for, but it’s a solid pair of headphones for the price.